IHeart Organizing: IHeart: Aloha Baby & a GIVEAWAY! 8 IHeart: Aloha Baby & a GIVEAWAY! Aloha friends! Happy giveaway Tuesday! This week's sponsor is another super amazing Etsy shop, Aloha Baby, and they have a great prize for you super amazing peeps! Happy Art. Happy Kids. Sounds like an amazing combo to this mama! Once upon a time in a land far, far away... Two designer's paths converged and Aloha Baby was born. Bon & René are two moms who design and illustrate modern wall art for kids! Pretty cute right? You know me and color. It's a bit of a happy obsession, and I fully intend on passing that down to my kids. Today, one fortunate IHeart Organizing reader will win two hand-picked prints of their choice, up to $50! 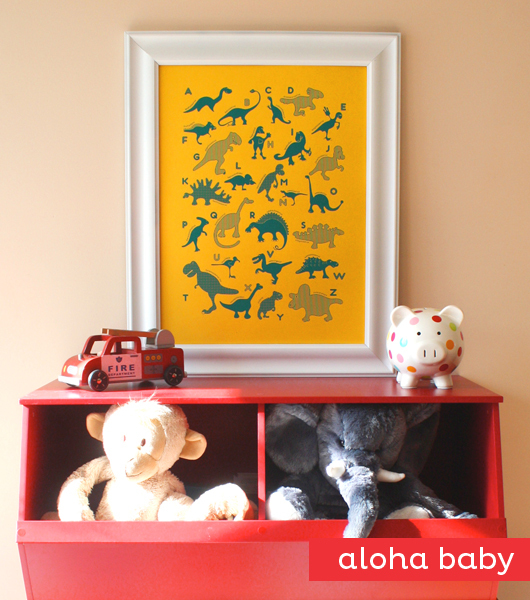 Who's ready to brighten up some walls with some darling artwork courtesy of Aloha Baby? How adorable! I may not even be able to wait for the giveaway to order something. Thanks for a great giveaway! Their stuff is so cute! I loved the dinosaur prints and the woodland animals number print. They would look awesome in my boys rooms! Entered the giveaway on Rafflecopter! Thanks again! I like the Dinosaur ABC poster, Yellow! Cute! adorable prints. would love to add some fun to our house! 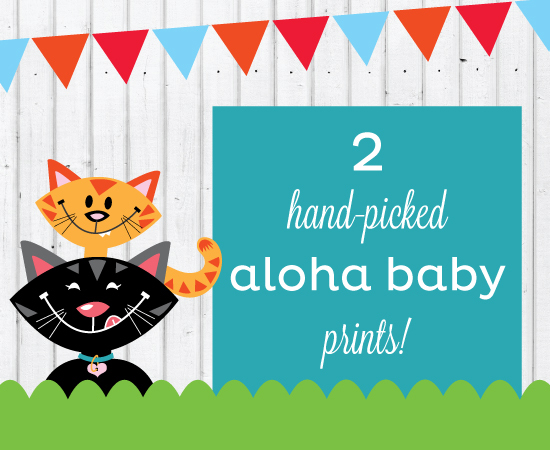 Aloha Baby prints are adorable! Thank you for the generous giveaway. Adore your blog! !